No one knew for sure where the box was headed — but the odds were that it wasn’t very good. 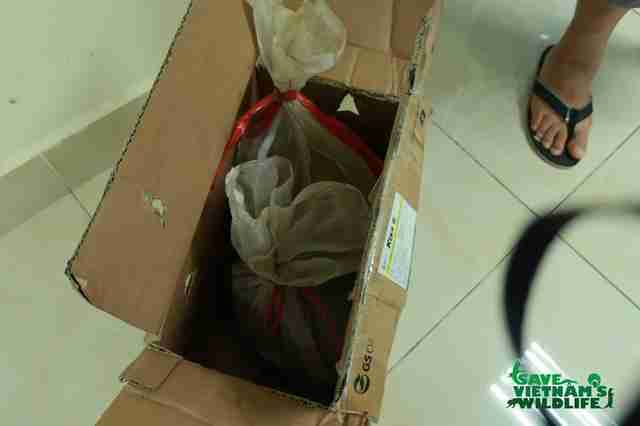 Last week, rescuers with Save Vietnam’s Wildlife (SVW) were called out to Hai Phong City, Vietnam, after police confiscated a sealed cardboard box during a search. Inside was a heartbreaking surprise. 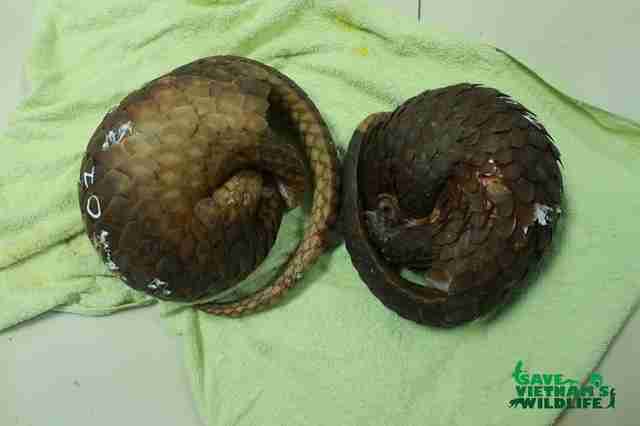 Two pangolins were stuffed into separate bags and curled up in fear. They were weak, hungry and covered in wounds. They had no food or water. 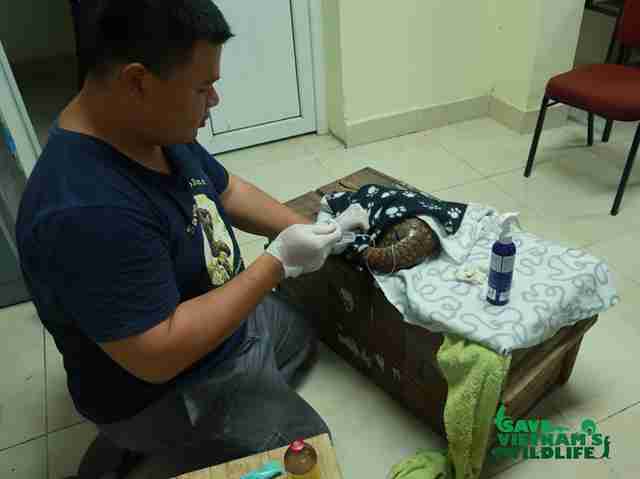 The rescuers took in the scared creatures right away and rushed them to the organization’s wildlife rescue center that night. 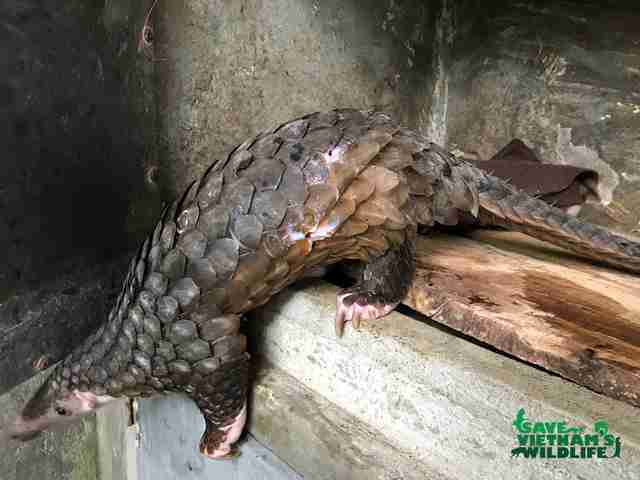 Both were quite dehydrated, and one of the pangolins had lost a few scales from his injuries. Veterinarians administered fluids right away and got the animals settled into their own nesting boxes for the night. Luckily, it wasn’t long before the tiny, nocturnal animals started to unroll from their hiding spots and begin exploring. 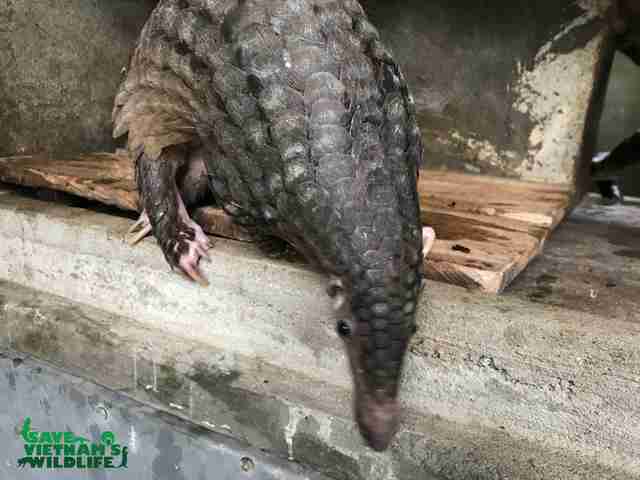 The pangolins were finally able to stretch their legs again and enjoy a tasty meal — after who knows how long. Luckily, the animals are recovering well so far. But their situation is all too common for their species, which is the most trafficked animal in the world. Native to Africa and Asia, pangolins are especially sought-after because their meat is considered a delicacy, and their scales are supposed to have medicinal properties. At least a million pangolins have died in the past decade alone due to the illegal pangolin trade — so every life saved is monumental. “We need more time to know whether they are healthy enough to be released,” the rescue said. Hopefully, these two little animals will continue to grow stronger every day and will be able to return to a protected forest home as soon as they’re ready. Until then, they’re in the best hands possible — and are getting some much-deserved rest. 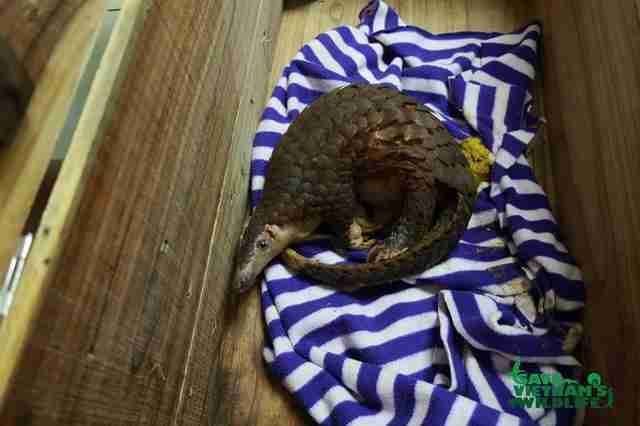 To support the pangolins’ ongoing care, you can make a donation to Save Vietnam’s Wildlife.